3. 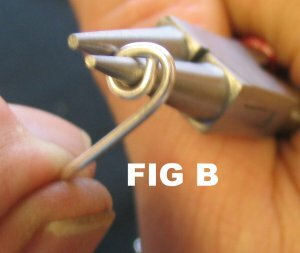 Take your chain nose pliers and continue coiling as you see in Figure C.
4. 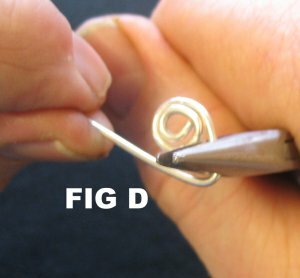 At some point you will be able to make the coils by hand. 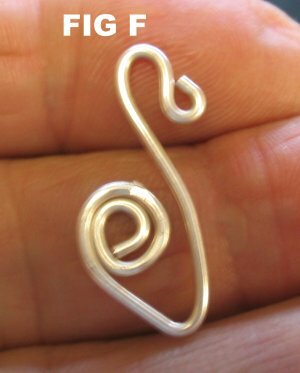 You can make as many coils as you wish for the look that you want. 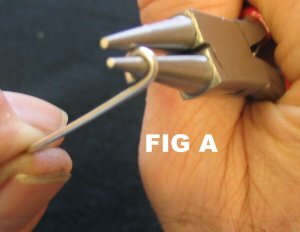 When the coil is to your liking, take the chain nose pliers and bend the wire as you see in Figure D.
5. 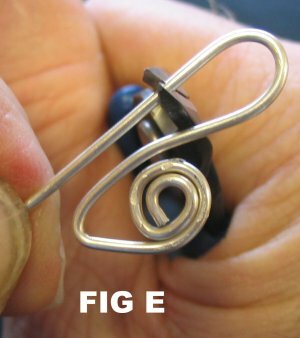 Before you complete the hook on the top, place the bracelet on your wrist and determine how long the clap should be.. Then at the top of the wire make a hook as you see in Figure E.
6. 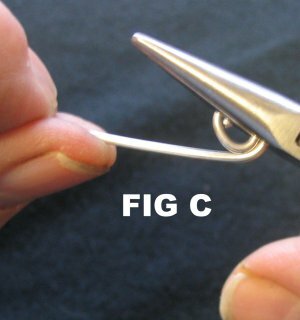 Cut the wire and make an eye on the end of the hook (Figure F).